Simply enter your email address to take part in this special event. Check your email after registering to receive access to this event. When you register for the live stream, you'll also receive updates about similar opportunities from Sounds True, 1440 Multiversity, and Lion's Roar. is a once-in-a-lifetime opportunity to join these two extraordinary women who are both uniquely gifted “instruments of the dharma, ” helping us to soften and open our hearts. 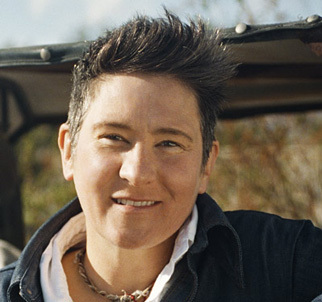 Moderated by Sounds True publisher and founder Tami Simon, this night of discovery and insight will support both The Pema Chödrön Foundation and Tools for Peace. 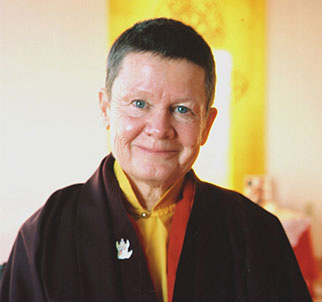 Our evening will begin with a dialogue with Pema Chödrön, who will share her insights into life's “big questions”—including how we can begin to face uncertainty and engage the unknown—along with practical guidance in becoming more vulnerable, authentic, and present with ourselves and with each other. Then k.d. lang will join the conversation, speaking about her personal approach to creativity and the roles that trust, devotion, and surrender play in that process; the surprising parallels between the journeys of the artist and the meditator; and more. Please note: k.d. lang’s musical performance will not be included in the live stream. We'd like to thank our sponsor, the 1440 Multiversity, for enabling us to stream this special event at no cost to you. The live stream is also being sponsored by Lion’s Roar and Sounds True. This event will benefit Tools for Peace and the Pema Chödrön Foundation. If you would like to contribute, please click the links below.